Alpha Events is committed to protecting your privacy. You can visit most pages on our site without giving us any information about yourself. But sometimes we do need information to provide services that you request. This document is designed to give a clear explanation of Alpha Events' data processing practices. Please see below for further information. 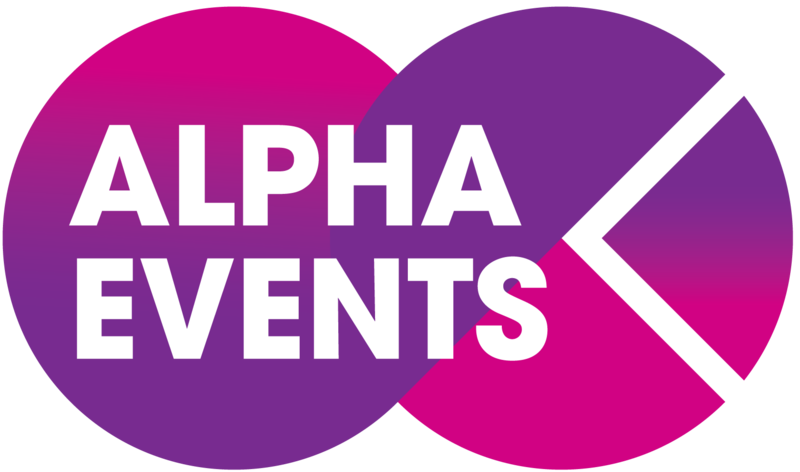 If you have any questions or concerns relating to Alpha Events' site or would like to find out more about how we collect, store or use your personal data, please contact our Data Protection Officer. Alpha Events leverages a global research base of best practices to produce an unrivalled portfolio of industry leading, annual conferences worldwide, data products and online communities, along with a full complement of content marketing services, and intimate networking events - all aimed at educating, supporting, and connecting the leadership of the world's core industries. Alpha Events is the sole owner of the information collected on this site. In order to provide our website users with a personalised and valuable service, we operate several divisions, which require membership. As above, we will collect information from users during the membership process. This information is used for the operation of the service, to maintain quality of the service, and to provide general statistics regarding use of Alpha Events' websites. Cookies are also used in connection with the membership of our site. If you choose to not have your browser accept cookies, you will be able to view the majority of our site, however you will not you be able to register as a site member. We do not rent or sell our customer e-mail lists. We may share your personal information with professional organisations (our event sponsors/exhibitors) to promote similar products and services related to your area of interest. If you do not consent to share your personal information with third party organisations please email database@iqpc.com. No list supplied by Alpha Events may be used by anyone other than for the confidential use of the original mailer. All lists are seeded with decoy names to protect against abuse; violators will be prosecuted. Alpha Events contains some links to other sites. Please be aware that Alpha Events is not responsible for the privacy practices of such other sites. This privacy statement applies solely to the information collected by Alpha Events. From time to time Alpha Events may run surveys and promotions and may request information from users as part of these. Participation in these is entirely voluntary. Alpha Events takes precautions to protect your information. When users submit sensitive information (such as a credit card number) over the internet, we protect it through the use of encryption, such as the Secure Socket Layer (SSL) protocol. Access to all of our users' information is restricted in our offices. Only employees who need the information to perform a specific job are granted access to personally identifiable information. The servers that we store personally identifiable information on are kept in a secure environment. Alpha Events will make every attempt to keep your personal data accurate, complete and up to date. If your personal information is incorrect, changes or if you no longer wish to receive information from IQPC, we will endeavour to correct, update or remove your information as swiftly as possible. This can be done by e-mailing database@iqpc.com. If you no longer wish to receive newsletters or promotional materials, you may opt-out of receiving these communications. You can do it by following the unsubscribe link placed in the footer of the promotional email or, if by post, by returning the letter to us with "unsubscribe" marked upon it. Or you can simply contact database@iqpc.com and ask to be unsubscribed. Alpha Events reserves the right to amend the privacy notice. In such case the ‘last updated’ date will be amended accordingly and you will be informed via statement prominently displayed on the website. Alpha Events respects your right to privacy. We ensure all data is managed lawfully, fairly and transparently. We use third parties to also acquire data, we hold those parties to the same high standard. You have a right to be forgotten and can email us at database@iqpc.com to request your personal data or any information related to privacy. The personal data we hold is stored on Alpha Events servers and on the servers of cloud based database management services located in United States and Ireland. IQPC retains data for the duration of the customer’s or member’s business relationship with the IQPC. For more information on where and how long your personal data is stored, and for more information on your rights of erasure, please contact the IQPC’s data protection officer at dpo@iqpc.com. Alpha Events has taken all reasonable steps to comply with Canada's Anti-Spam Legislation. We only email contacts with whom we have had a business relationship within the last 2 years, individuals who may have enquired about an event in the last 6 months or who have opted in to receive our divisional marketing communications. Should you receive an unsolicited email from IQPC please email database@iqpc.com and we will remove your details within 48 hours. Alpha Events will take all steps reasonably necessary to ensure that your data is treated securely and in accordance with this Privacy Notice. If you do not consent to this transfer, storing or processing of your personal information please email database@iqpc.com indicating your wishes.